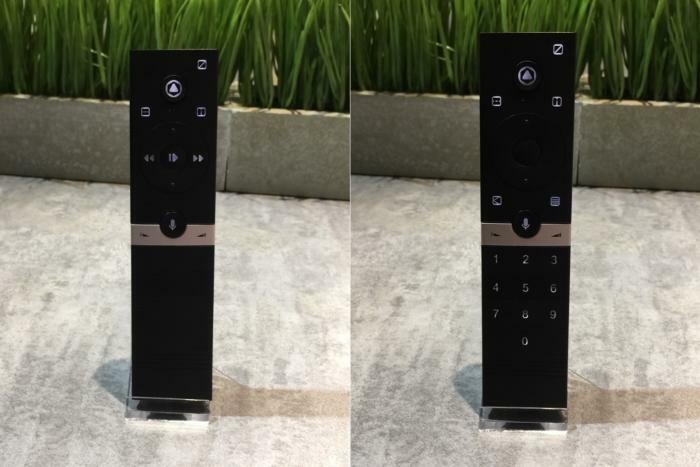 Universal Electronics shows off a pair of remote controls whose buttons adapt to what users are doing. Universal Electronics has been making remote controls since 1984, and supplies remote hardware and technology to major TV operators such as Comcast and Charter. So when the company starts showing off concepts for the remote control of the future, it’s worth paying attention. At CES, Universal Electronics had a couple of these ideas on display. Pictured above is the rather grim-sounding Laser-Etched Dead Front remote, which only lights up the buttons that are needed at any given time. For instance, you might want number keys when surfing through cable channels, but probably wouldn’t need to see them in an on-demand streaming app such as Netflix. And you might not want to see the voice search button if the app you’re in doesn’t support it. Universal Electronics says it’s already seeing interest in the Laser-Etched Dead Front concept from streaming set-top box makers, though the company declined to name any potential clients. 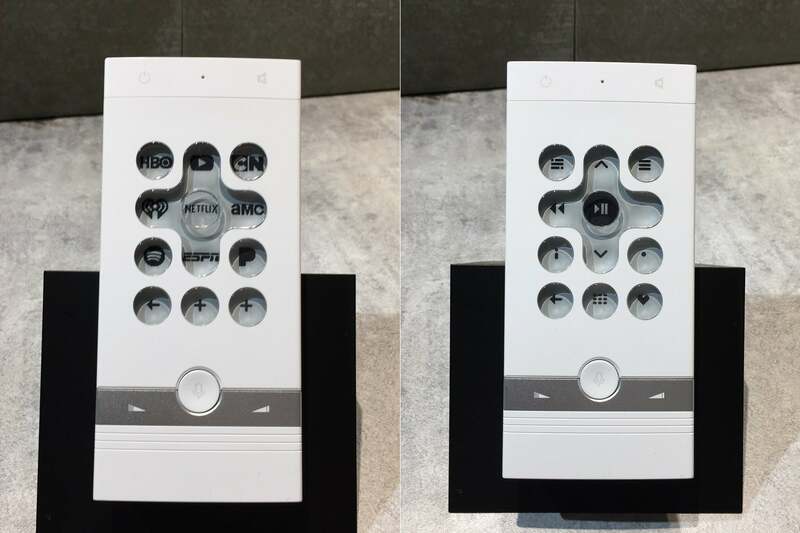 The company’s other concept is a bit more ambitious, and calls for a low-power E-Ink display underneath the buttons, so that each button’s functionality could change based on what users are doing. Imagine a remote that lets you set your own quick-launch shortcuts for streaming apps, or that allows each app to have its own set of buttons. That said, the demos on display at CES weren’t connected to any actual televisions, and the technology is different enough that it probably won’t see wide adoption any time soon. But maybe in a few years, we’ll start seeing a breed of home theater remotes with smarter buttons.